June 28, 2010  Two more studies raise safety questions about a once-popular diabetes drug. Advisers to the Food and Drug Administration will weigh the evidence in July. June 22, 2010  Four of the top 10 companies were American, a slight improvement from the rankings compiled in 2008. June 18, 2010  An experimental medicine that would be the first to treat women with low sexual desire faces a tough review by the Food and Drug Administration. June 15, 2010  A large international study found that an inexpensive, decades-old medicine to prevent bleeding could save many trauma patients' lives. June 11, 2010  A House panel says Johnson & Johnson hasn't been cooperative enough on an investigation of quality problems with medicines. The company disagrees. June 10, 2010  Infectious diseases command lots of attention from aid groups. But chronic conditions, including mental health problems, are overdue for action in the developing world. June 10, 2010  Doughnut holes may be a thing of the past, Democrat staffers say, at least the ones describing many seniors' prescription drug coverage. 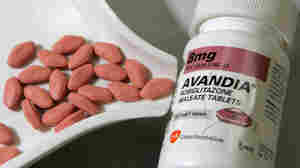 June 10, 2010  The use of medicines to reduce heart attack risks appears to be working. But the gains are at risk as obesity and diabetes rise. June 7, 2010  Most Americans filled their last prescription with a generic medicine. And confidence in the no-name drugs runs high, with 90 percent of people saying they would use one instead of a brand. June 7, 2010  As researchers plumb the secrets of cancer, the disease proves more and more complex. The variations in common cancers make targeted treatments that will help large numbers of people particularly hard to develop. June 4, 2010  A government-funded clinical test of Lucentis and Avastin to treat an eye disorder that can cause blindness should have been straightforward. But the study has been plagued by problems. June 3, 2010  House panel wants more details on a recall of PediaCare medicines made at Johnson & Johnson factory closed due to quality problems. June 2, 2010  A drug called Prolia gives women a new option for treatment of osteoporosis, but it will cost a lot more than generic drugs for the same condition. June 1, 2010  Four types of children's medicines sold under the PediaCare brand have been recalled due to concerns about a Johnson & Johnson factory. May 27, 2010  Rebate checks for Medicare beneficiaries in the drug plan's coverage gap will start arriving in June.